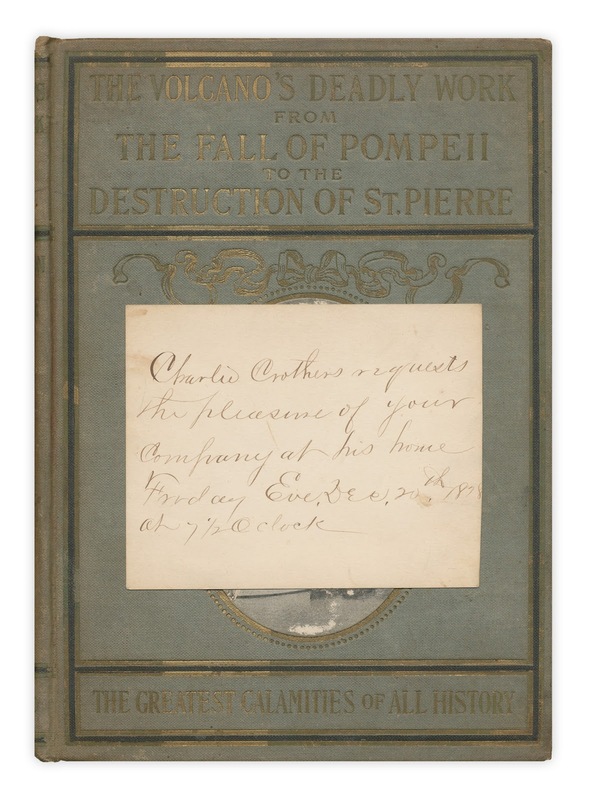 Found in "The Volcano's Deadly Work: From The Fall of Pompeii to the Destruction of St. Pierre" by Charles Morris. Published by Scull, 1902. Must've been a great party, to prompt the note to be kept 24 years before getting inserted into a book!